Starting out as a NQT: you've done the training and gained QTS. You've jumped through the hoops on placements, in QTS tests and through assignments and, in a month, you will have your own class. Crazy! Scary! I got SO much wrong in my NQT year...everybody does. But I also learned SO much in that year and in the 2 years since completing it. I remember being happy with the planning and curriculum side of things; I felt I did quite well with that. However it was all the other bits, the things you're not really prepared for on placement and that come with having your own class. So below are some things I've learned since qualifying which have made classroom management easier for me. Marking - decide how and when you will mark their books so that you make sure it gets done. This is something I wasn't too good at in my NQT year - I didn't plan the time to mark. If you know you have a staff meeting or club, plan an "easy-to-mark" lesson - one where children mark their own or each other's or something which you can whizz through and stamp to get an idea of where they're at. Plan your long marking sessions for the evenings when you can sit down as soon as they're gone and work through. A colleague and I have marking parties, where we throw on some classic music and sit and mark together. Getting some stampers makes this really easy and fast, while making your marking impact the next lesson. Never take more than one set of books home at night (chances are the second and third set will get left). If you fall behind, you will end up marking work a week or two old so that marking has zero impact - you will be only doing that for the SLT and that is pointless! Behaviour - if at first they don't do it right, make them do it again...and again...and again until they get it perfect. Repeat for as long as you need. Time spent improving or perfecting behaviour is NOT time wasted. I cannot stress the importance of this. Start this on the first day so they know that you're serious and that you expect excellent behaviour and do it everyday if you need to. I learned a lot of how I manage behaviour for 'Getting the Buggers to Behave' by Sue Cowley. 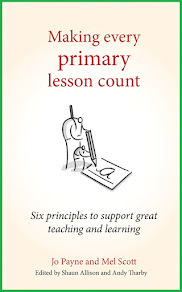 If you're going to read one book about behaviour management, let that be it - it's worth it. Parents - a friend who is a parent of children in another school said to me when I started teaching that the best thing a teacher can do, in her eyes, is keep her well-informed. Parents want to know with good time when they need to do things, whether dress up, trips, special days or invites into school. They also want to know how their child is doing...so tell them. Get a pack of 'note home' cards (I had some made on Vistaprint but PTS also sell them) and use them. Write in homework diaries and call parents with positive news. They appreciate that more than you will ever know and it means, if you have to call with some bad news, they are more likely to support you. Jobs - make them work harder than you. Give over time (5 minutes a day) for children to do jobs. Handing out letters, jumpers, writing tomorrow's date on the board, sorting the timetable, tidying and locking the laptops, stacking chairs, tidying tables and picking things off the floor. That 5 minutes will save you 50+ minutes at the end of the day tidying, sorting and organising and will mean you can put your time into assessing and re-planning. If, throughout the year, you find yourself doing the same meaningless thing over and over, simply add it to the jobs list. Colleagues - the most important thing you must know in your NQT year is that nobody is perfect. Not that teacher who all the parents love nor the one with beautiful, Pinterest-worthy display boards. Everyone will be behind in something and that's OK. Teaching is the job of the never-ending to-do lists. Never will everything be done and so there's no point chasing perfection as a teacher. All you can do is aim to get better and you can do this by listening to, observing and asking others. I learned so much through the other members of staff in my NQT year. My catchphrase became "I've just got a quick question..." and I'd delve into their expertise to try to enhance mine. 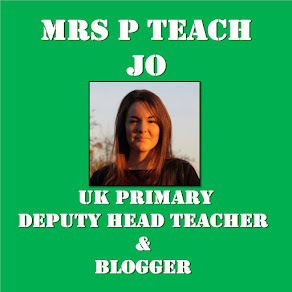 Also, the Twitter staffroom has helped me improve my practice and opened my eyes to how teachers do things in other schools, areas and countries. So in short...ask! Ask your colleagues, ask your NQT friends, ask other teachers and ask on Twitter. Everyone learns loads in their NQT year and it is a baptism of fire. These are things, aside from the day-to-day teaching which I've found to help me. If you have other tips, just leave them in the comments below - you never know who'll you'll help out. You have this spot on and it isn't just advice for NQT and recently qualifieds either. I have been doing this for 15 years and everything you say matches my needs too. Everyone is in the same boat. "Time spent improving or perfecting behaviour is NOT time wasted. I cannot stress the importance of this." Couldn't agree more. The only thing I'd like to add is that I would not always continually have children repeating a certain behaviour, not found of operant conditioning to that extent but rather find any underlying causes if I'm having to go that far. But I guess Iw ill find out what I'll do very soon! Thank you so much for this, fantastic common sense advice that will really help people. I will be passing this on! Ahh the behaviour point. Something I missed early on as an NQT. I wish i'd implemented that sooner, would have made those first few months more bearable.